Produce monster is what I am, strolling through my local farmers market on a warm summer weekend morning like John Travolta in Saturday Night Fever. When you’re like me, and want to buy everything in sight, you’ll need some inspiration for all those fresh goodies. 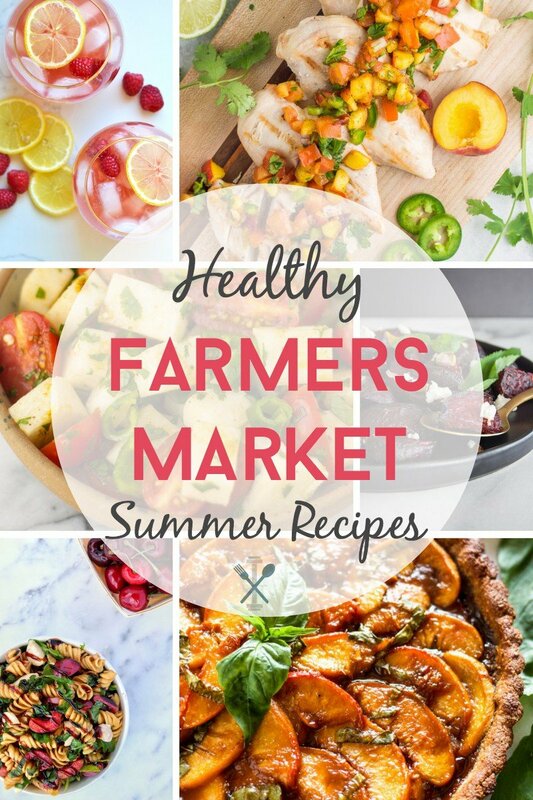 Which makes this summer farmers market healthy recipes the perfect post for you! Anyone else get stuck in a rut when they pick up peaches, beets, tomatoes, cherries, raspberries, and the list goes on?? Well this list of amazing farmers market inspired recipes from some of my favorite blogging besties will get your creative juice flowin’ and wow your tastebuds. 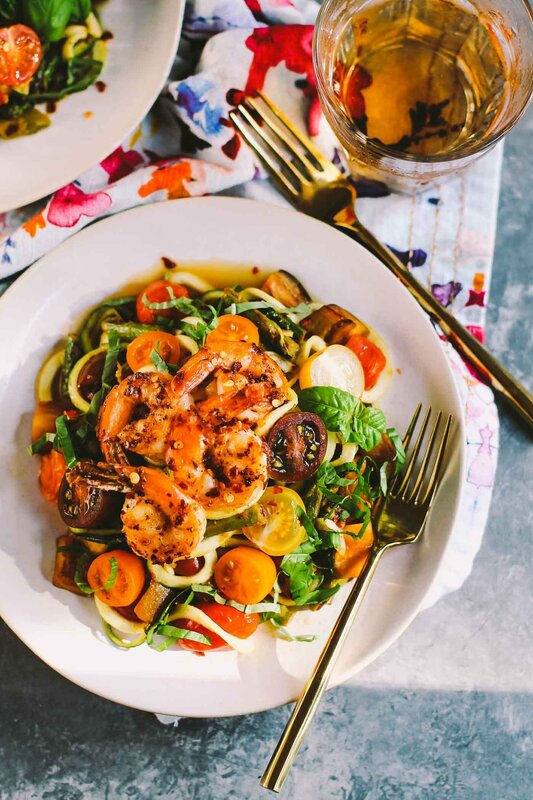 Here are some of the best summertime eats around with some links to a ton of healthy recipe resources from some of the best food bloggers on the internet! Have you tried this recipe yet?! It’s a total crowd (and kid) pleaser. 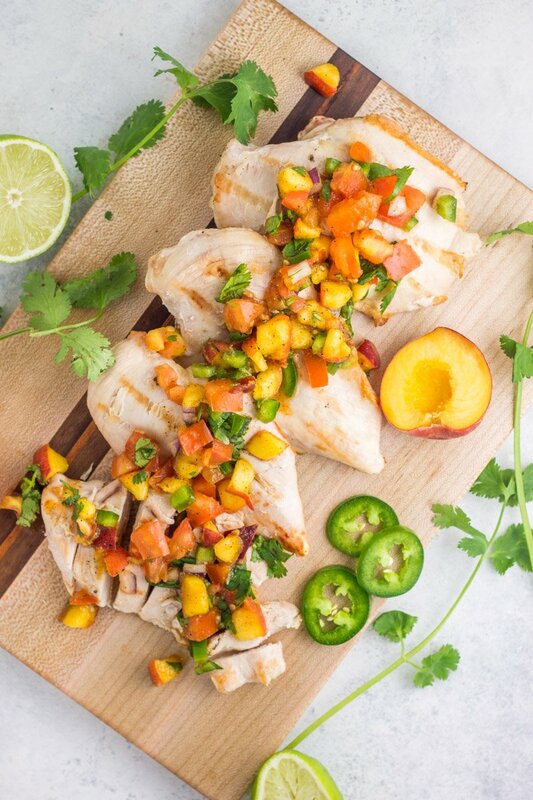 Fresh peaches with cilantro, red onion, tomatoes, seeded jalapeño, lime, and spices got me in a ‘fiesta’ kind of mood all summer. Like your salsa with a little heat? Simply keep a few jalapeño seeds in the mix for a ‘knock-your-socks-off’ kind of condiment to top grilled chicken breasts this summer. 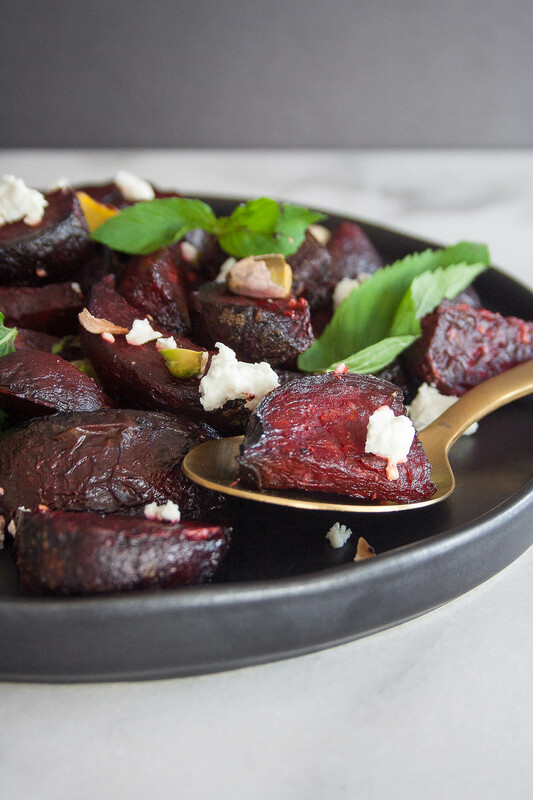 Ellie nailed it combining beets and creamy goat cheese together in the perfect summer side dish! But wait, it gets better – pistachios on top!!! It’s the perfect combo of savory and crunchy for a squeaky clean summer root veggie side. If you’re a beet beginner, this is a great place to start! I mean, can you say fancy?! This makes me want to go over to Jess’ house for dinner every single evening. There are so many veggies packed in this baby, it’ll have you buying out the farmers market! I love that shrimp coated with chili flakes too. DAAAAANG! Texture is the name of the game here! Have you tried jicama yet? It’s the perfect crunchy summer snack. 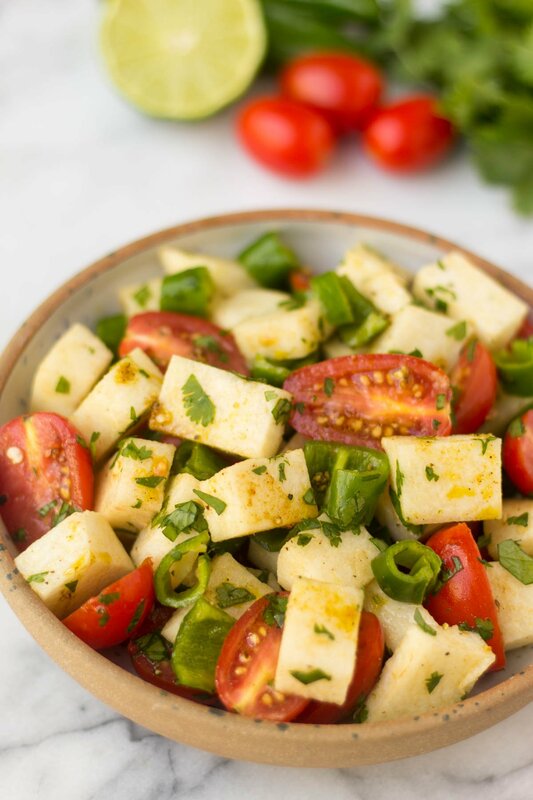 But Kelly took it once step further by combing sliced jicama with juicy tomatoes and jalapeño for the perfectly perfect ‘lil side dish bursting with some crazy good flavor combos! Kels nailed it with this healthy summer refresher. It’s pretty much all of my favorite things in a glass (plus it’s pretty easy on the eyes). 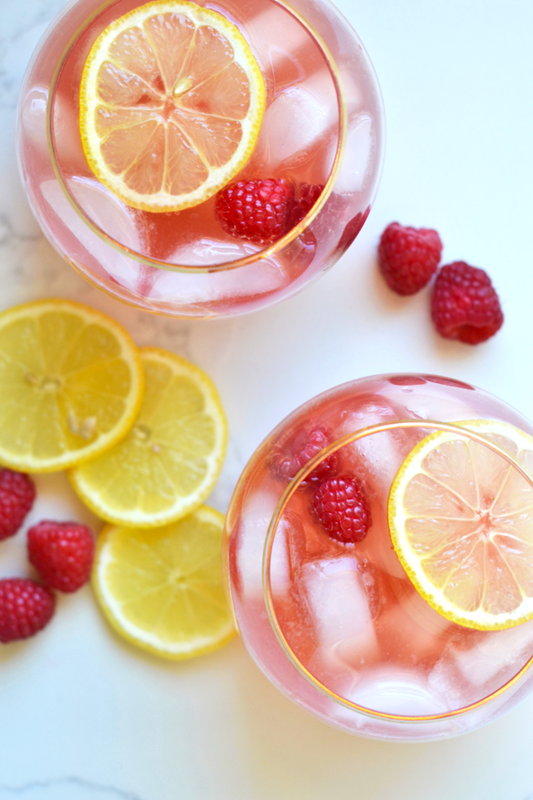 Probiotics, raspberries, and citrus? Speak to my heart oh delicious summer sangria. *Swoon* I’ll cheers to that! I mean, have you ever even seen such a fun combo to a classic favorite?! 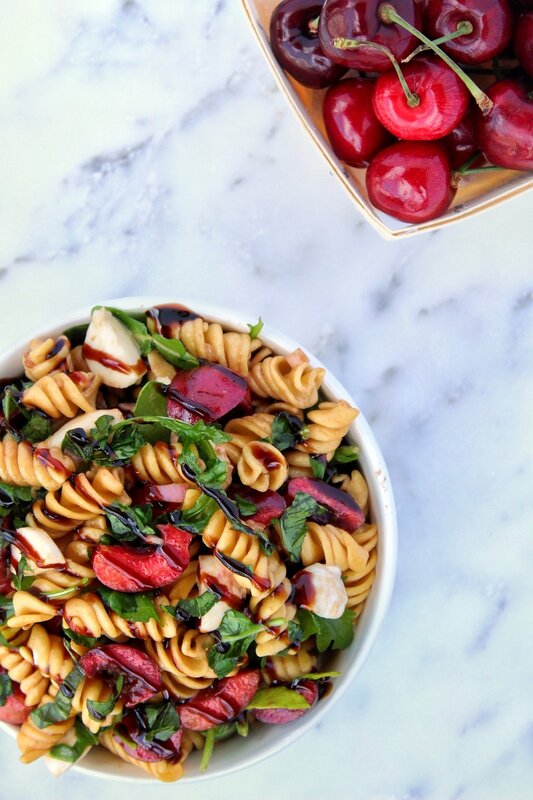 I love how Kara incorporated juicy summer cherries (who doesn’t love those?) into a spin-off on caprese salad. Soothing tells me kiddos would love this recipe too. Noodles, cheese, fruit = all the favorite things of kids and adults! Allie and I clearly love peaches and this recipe speaks to my heart as the sweetest (and prettiest) paleo summer dessert around! I am digging the combo of baked beaches and fresh basil, and I’m pretty sure everyone else will too. And if you aren’t concerned about keeping this paleo, I think a big scoop of vanilla ice cream to top might be necessary. Just sayin’. Gimme all da brussels!! 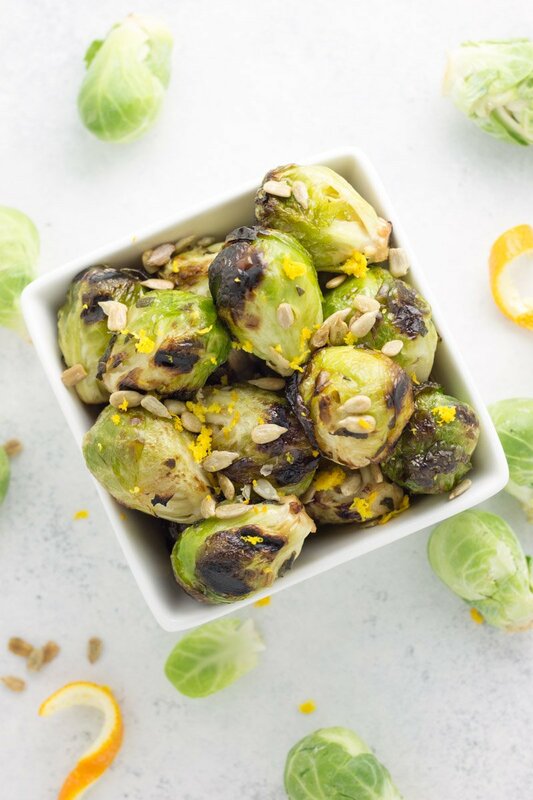 When I was feeling sick of my ‘norm’ aka balsamic roasted brussels sprouts, it was time to mix it up a bit, and add a little citrus flair. Plus, roasting brussels sprouts on the grill takes significantly less time than the oven, with some award-winning char mark that make my foodie heart happy. Steak, salsa, and watermelon – what could be a better combo this summer? 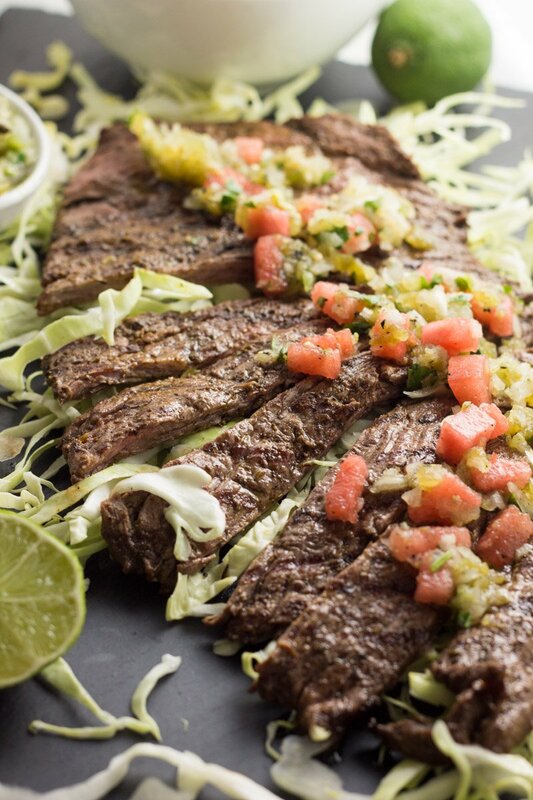 Sliced watermelon combined with roasted tomatillos is a unique way to serve carne asada steak with a flair. Wondering how to get your little ones to eat red meat? This just might be the ticket! Now it’s time to head off to your local farmers market and get busy making some delicious eats to satisfy you all summer. And be sure to tag your favorite bloggers above on social media when ya give these delicious and fun recipes a try! 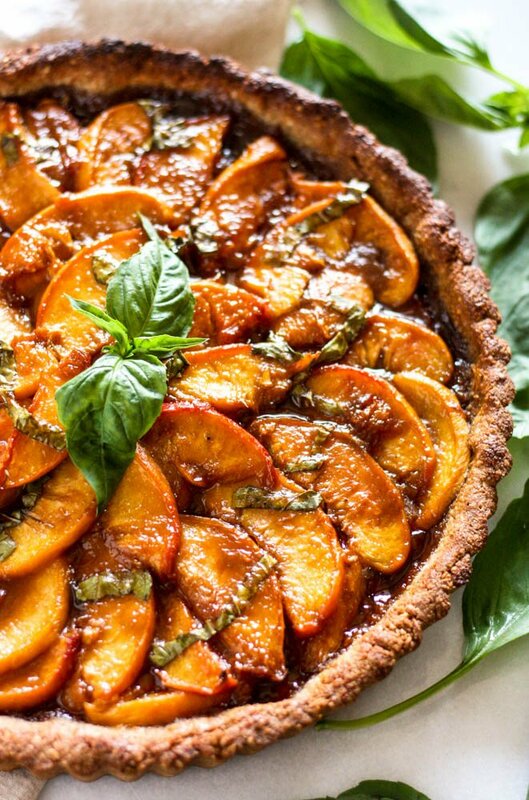 Who doesn’t love peaches in the summer right? !